Craving some Brownies? It’s true… Skinny Dessert Recipes can still be seriously delicious! This Skinny Brownie Recipe is ridiculously easy, just 3-Ingredients easy! Plus… it’s got a healthy secret ingredient the kids won’t even notice! 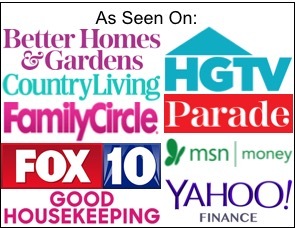 How you can get Free Grocery Gift Cards for free recipe ingredients! Add water and beans to blender, and blend well until pureed. 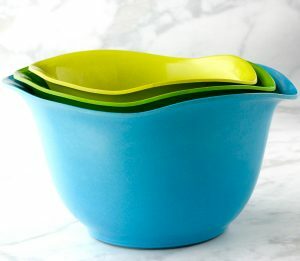 In medium mixing bowl, stir together powdered Brownie Mix and Water/Bean puree until well combined. 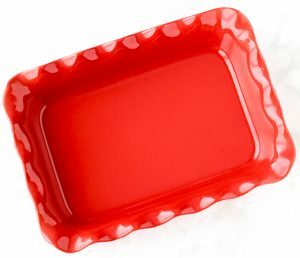 Spray bottom and sides of 9×13 nonstick baking dish with nonstick cooking spray. Transfer brownie mixture into 9×13 dish and spread out evenly. Bake for approx. 21 minutes, or until done. Allow brownies to cool, then cut with a plastic knife. ENJOY! Ready for more Skinny Dessert Recipes and more yummy Brownie Recipes? Craving a rich, decadent piece of Chocolate cake without the guilt? You’ll LOVE this Skinny Chocolate Cake Recipe! Who doesn’t love Cupcakes? Plus… they’re pretty darn guilt free! 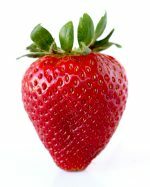 Skip the oil and add a dash of delectable flavor with this Skinny Strawberry Cake Recipe! Craving a sweet little taste of cake, without being tempted by too much? I’ve got just the solution… this Easy Spice Mug Cake Recipe! It’s as easy as 3-2-1! 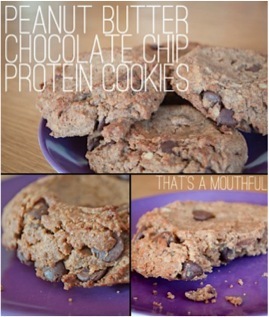 Looking for a treat that won’t mess up your fitness or diet plan? 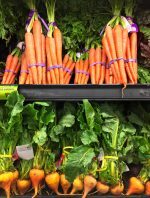 Here’s an option that is high fiber and high protein – making it a good substitute for other ways your body might get protein. 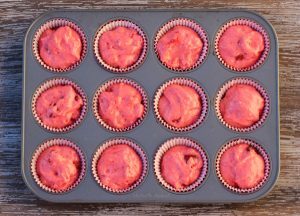 Here’s a handy Healthy Baking Substitution for Oil you are really going to love! 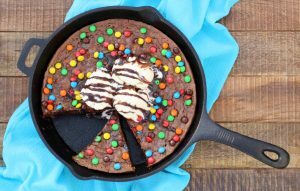 Take your chocolate cravings on a little vacation to brownie heaven when you make this easy M&M Skillet Brownie Recipe! 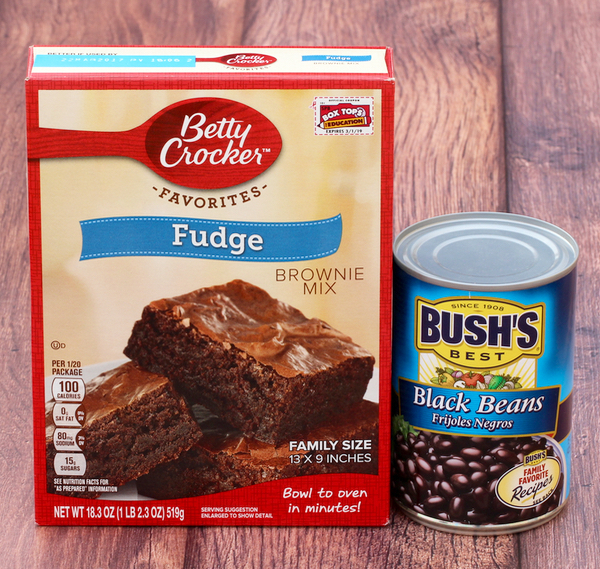 Have you ever tried Skinny Brownies with Black Beans before? How many WW smart points are the brownies per serving? 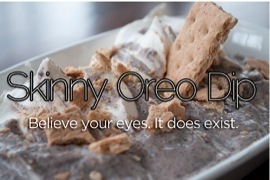 Weight Watchers says they are 5 points per serving. There are twenty servings per recipe which means the entire pan of brownies is 100 points. (20 servings times 5 points each equals 100 points for the entire pan) If you cut the brownies into twenty portions, each brownie is really small. Hard to eat just one since they are so small. Wish they were zero points but Weight Watchers says they are 5 points per serving and the entire pan is 100 points. Has anyone tried this with gluten free brownie mix? I’m trying it now and I hope it works. I have a friend who is GF and I’m hoping to make her a special birthday treat!! 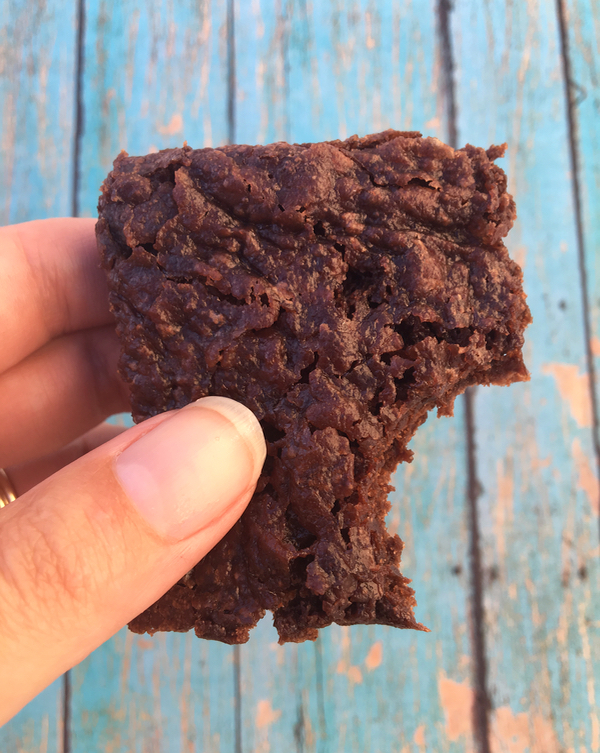 Hi Kellie ~ I honestly haven’t tried with the skinny brownies with the gluten free brownie mix, but if you do… let me know how they turn out! I’d love to hear! I made these brownies and used dark chocolate almond milk instead of water and they came out AMAZING!!! That sounds like a delicious twist for the brownies, Kellie! Made these brownies tday. They were delicious. Is these something that could be added to get them to raise a little? So just how skinny is this Skinny Brownie recipe? I’d be curious to know the difference between this recipe and the traditional method. Hi Pat ~ the main difference between this recipe and traditional brownies is that you will be skipping the Oil and Eggs, and using Black Beans instead. Hope this helps! Heidi, this is a very interesting recipe. I was wondering if you could tell me how many calories each brownie would be? Of course… you’re very welcome, Jerralea!